You can order Dr. Shade’s Bitters No. 9 here. 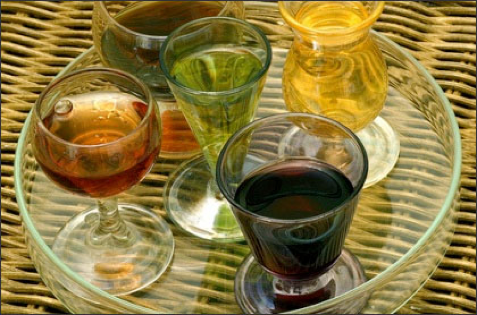 Herbal bitters have a long history of use, and are commonly used in cocktails known as aperitifs and digestifs which are served before and after meals to stimulate appetite and digestion. However, bitter herbs act far beyond the digestive system, and broadly impact the liver, kidneys, skin, immune system, and detoxification pathways. Although the process of detoxification occurs in every cell of the body, organs in which detoxification occurs at a higher level are the liver and kidneys. It is well known that in individuals with compromised liver or kidney function, dosages of many medications must be altered. The small intestine mucosa also plays an important role in detoxification, as proteins important for all phases of detoxification are expressed at a high level here., When any of these organs (liver, kidneys, intestines) experience less than optimal function, a backup in processing of toxins will occur. With understanding of this, it is easy to see the importance of an integrated process where the intestines, liver, and kidneys are all functioning in an optimal fashion simultaneously. The proprietary bitters combination of Dr. Shade’s Bitters No. 9 includes dandelion, milk thistle, solidago (goldenrod), gentian, burdock, and essential oils of sweet orange, myrrh, juniper, and clove, which are delivered along with phospholipids that comprise the liposomes in which these herbs are carried. The combination of these herbs is thoughtfully selected to support the gastrointestinal tract, liver, and kidneys in their necessary functions for health and detoxification. Just a small snippet of the vast amounts of research on these herbs is highlighted below. Dandelion is known for its action on the liver and gallbladder, but also acts as an antioxidant and anti-inflammatory, and may have cholesterol lowering effects.,, In animal models, supplementation with dandelion leaf extract has been shown to alleviate hepatic inflammation associated with a high-fat diet, and protect the liver from alcohol-induced oxidative stress., In the setting of alcohol injury, supplementation with dandelion root extract was observed to increase hepatic antioxidant activity, including glutathione (GSH), GSH-S-transferase, GSH reductase, and GSH peroxidase. Solidago, commonly known as goldenrod, is known for its action on the urinary tract, and is classically used for infections, inflammation, and prevention of kidney stones. Solidago is rich in compounds including flavonoids, phenolic acids, sesquiterpenes, diterpenes, saponins, and several caffeoylquinic acids., Solidago acts as an anti-inflammatory, antimicrobial, diuretic, antispasmodic, and analgesic due to these many compounds found within it. Research has also shown that the flavonoids from solidago have an activating effect on GSH-S-transferases, a critical enzyme in phase II detoxification, in a dose-dependent fashion. Burdock root is commonly utilized in digestive and metabolic balancing formulas, with hypoglycemic, antioxidant, anti-inflammatory, hepatoprotective, and antimicrobial actions. Burdock root has been observed to reverse decreases in GSH and increases in malondialdehyde (a marker of oxidative stress) induced by toxin exposure. Caffeoylquinic acid derivatives from burdock root have been observed to have a strong antioxidant effect, greater than that of α-tocopherol. Burdock extract has been shown to inhibit lipoprotein oxidation while increasing GSH, GSH reductase, GSH peroxidase, GSH-S-transferase and catalase levels. Each of these oils contains many active compounds, a sense of which we only begin to have from the aromatic expression of its essence. Sweet orange essential oil is derived from the outer peel of the orange, which anyone who has tasted is familiar with its bitter nature. Sweet orange essential oil has been observed to have antibacterial, antifungal, and antioxidant effects., Myrrh has a long history of medicinal use, and is perhaps most recognized for its antimicrobial effects., Additionally, myrrh has been used as an anesthetic, anti-inflammatory, antioxidant, and cholesterol lowering agent. Dr. Decker is a certified Naturopathic Doctor, graduating with honors from the National College of Natural Medicine (now the National University of Natural Medicine) in Portland, Oregon. Dr. Decker also has graduate degrees in biomedical and mechanical engineering from the University of Wisconsin-Madison and University of Illinois at Urbana-Champaign respectfully. Dr. Decker sees patients at her office in Portland, OR, as well as remotely, with a focus on gastrointestinal disease, mood imbalances, eating disorders, autoimmune disease, chronic fatigue, and skin conditions. Dr. Decker also supports integrative medicine education as a writer and a contributor to various resources. The greatest source of mercury in the biosphere is currently of human origin. Mercury is number three on the Agency for Toxic Substances & Disease Registry (ATSDR) 2011 Substance Priority List. Although mercury is a naturally occurring element, most of it is sequestered in subterranean rock formations and coal beds. Two-thirds of the mercury entering the biosphere comes from man-made sources, including industrial plants, coal burning and incinerators; the additional one-third is emitted from natural sources. Many former chlor-alkali facilities (for producing chlorine and sodium hydroxide) are major point sources of mercury to aquatic ecosystems and are currently designated Superfund sites. Mercury is released into the air or directly into water bodies and makes its way into lakes and estuaries, where some of it settles to the bottom. Bacteria living in the mud of lake, river and estuary bottoms helps transform mercury into methylmercury (see below). But mercury is considered a global pollutant, as it's capable of spreading far beyond its source area. The arctic, for example, has no known sources of mercury, but it harbors mercury-contaminated fish, and recent studies indicate that whales feeding in the arctic have high levels of mercury in their tissue. What is Methylmercury? Methylmercury is an extremely toxic form of mercury that biomagnifies in aquatic food chains. It is a potent neurotoxin and the easiest form for animals to store in their tissue. It harms the brain, affecting memory, understanding and movement. Studies have shown that mercury exposure in humans can result in developmental delays in children, motor impairment, cardiovascular effects and, in acute cases, death. Its effects have been studied in fish, whales, seals and seabirds. Methylmercury binds to proteins and easily crosses cell membranes, including the blood-brain barrier and the placenta. Affected wildlife, such as loons, develop behaviors that ultimately reduce their chances for survival and reproduction. Studies conducted on human populations have estimated that between 200,000 and 400,000 children in the United States alone are born each year with pre-natal exposure to methylmercury sufficient to put them at risk of neurologic impairment. Inorganic mercury is the term used to refer to mercuric ion (HgII). Inorganic mercury is highly toxic but not very mobile. Inorganic mercury in sediments, soils and food sources does not pass easily into biological tissues. However, once inside of the tissue, inorganic mercury is very difficult to remove. Inorganic mercury accumulates in tissues when a more mobile form of mercury such as elemental mercury vapor, methylmercury or ethylmercury enters the tissue and breaks down into inorganic mercury. In biological tissues, most organic forms of mercury will eventually break down into inorganic mercury. Like methylmercury, ethylmercury is an organic form of mercury. Ethylmercury can be present in sediments or petroleum hydrocarbons. Ethylmercury is also used as a component in vaccine preservatives (thimerosal). Vaccination is the most common exposure route for this organic form of mercury. Like methylmercury, ethylmercury can move easily into biological tissues. However, ethylmercury tends to break down into inorganic mercury more rapidly than methylmercury. Liposomes are microscopic single- to multi-layer spheres made of phospholipids (the basic building blocks of cell membranes). Phospholipids encapsulate a compound, such as glutathione, in order to bypass the digestive processes that normally degrade or limit the compounds' absorption. Liposomes demonstrate the ability to cross the blood-brain barrier, deposit their cargo intracellularly, and enhance lymphatic circulation of therapeutic compounds. Additionally, the phospholipids which compose the liposome fuse with and feed the cell membranes. Providing phospholipids in this way ensures proper membrane function to facilitate the absorption of nutrients and the excretion of cellular waste products and toxins. In fact, phospholipid therapy, using both injectable forms and oral forms, has a long and solid clinical history for repair and maintenance of liver function, circulatory health, and neurological health. At their highest expression, liposomes bring the power of intravenous therapy into a convenient oral delivery. However, all liposomes are not created equally. Most liposomes on the market use low grades of phospholipids (e.g. raw lecithin) instead of the high-phosphatidylcholine phospholipid mixes necessary for a good liposome. Nutraceutical manufacturers also typically use cheap shear methods resulting in large (200–600nm), poorly-absorbed particles. 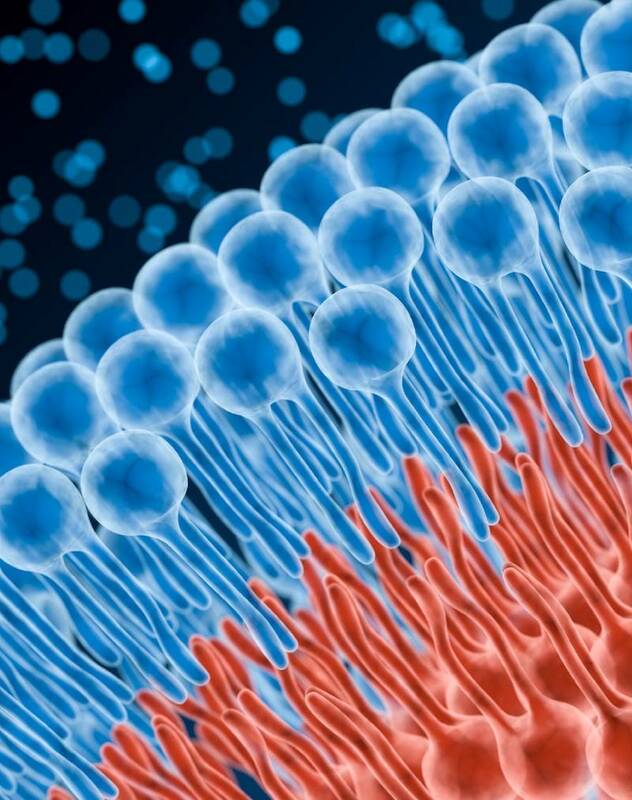 Quicksilver’s Etheric Delivery™ Phospholipid Encapsulation System improves upon basic liposomal Delivery technology with smaller, more stable, tightly distributed single-layer spheres (called unilamellar vessicles) made from the highest-grade ingredients available. These small vessicles begin absorbing as soon as they hit your mouth so you can get high absorption before they are altered by the harsh processes in the intestines. Quicksilver Scientific uses the same high-tech equipments, rigorous processes, and tight particle size controls used by pharmaceutical companies. Don't settle for the low grade products now flooding the market, and certainly don't fall for the ploy that you can make your own "bathtub gin" with a blender and a sonic jewelery cleaner! Look for the clear difference of Quicksilver Scientific's Etheric Delivery™ products. Our liposomal vitamins (like the totally unique liposomal B-Complex) are superior. Period.